LET 2019 BE THE YEAR YOU FINALLY GET YOUR PhD! If you are a spiritual counselor or healer, author, speaker, researcher or independent scholar in the field of religion and spirituality, including emerging, alternative, esoteric, or contemporary spirituality, you are perfectly suited to our online Ph.D. degree programs. The Esoteric Theological Seminary is unique in our lack of dogma, and cutting edge with our emerging spirituality studies and flexible distance learning program. Degrees earned here are religious degrees, not academic (not to be confused with a Ph.D. in English or Chemistry, which are academic fields). Our Doctoral Degrees are conferred only to ordained ministers, so if not already an ordained minister, Rabbi or other clergy, you will apply for no-cost ordination at the same time as applying for the degree. Ordination tuition is completely waived since you are seeking the PhD doctorate degree at the same time. Step by step instructions below. Rev. Dr. Terry Smith or Rev. Terry Smith, Ph.D.
You may customize your religious PhD to suit the work you are doing. Other PhD’s we’ve conferred are: the PhD in Spiritual Philosophy, Religious Education, etc. Just ask if you are seeking a religious PhD not listed here. Rev. Dr. Terry Smith, Metaphysician on your business cards. Once you become an alumni of the Seminary, you can join the Seminary’s exclusive forum to meet and network with your many fellow alumni. You also receive life-time letter of recommendation and reference service, transcript service (transcripts require a fee) and free support / guidance for starting your own spiritual practice, center, church, research or teaching center including friendly advice on tax-exempt status, incorporating, etc. 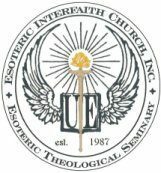 Here at the Esoteric Theological Seminary you will experience the human touch from faculty, staff and alumni, and may be asked to contribute your skills and time to your spiritual community in a leadership position. We are living in a spiritually-starved and struggling world. Many people feel disconnected and downright confused about life’s ultimate questions. Be one of the light-holders helping fellow humans make sense of it all, helping them step up to the next level. Being the best of the best means you must serve, must “minister” to a higher, nobler cause than mundane life. Note the Doctor of Philosophy originally was a religious degree and still can be obtained in its original form only in seminaries and religious universities around the world. 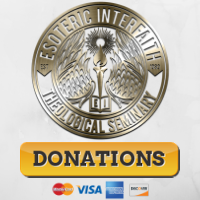 The Esoteric Theological Seminary, the educational institution of the Esoteric Interfaith Church, Inc. is part of that unbroken heritage of religious schools, and is one of the few places you can get the original religious Ph.D. (See the History of the PhD if you are interested in the historical evolution of the Ph.D. from religious degree to academic degree). 1. Fill out the Ph.D. Application. Ordination as a minister is FREE with your PhD. 2. We notify you of acceptance usually within 24 – 48 hours of receiving your Ph.D. application. Pay one-time amount of $890.00, which includes everything: Ph.D. degree diploma, Certificate of Ordination, wallet cards showing both your new credentials in miniature, and free shipping. PAYMENT PLAN: Our tuition costs are the lowest among Seminaries, but still we recognize some applicants may not be able to submit the entire $890 tuition up front, so we have a Payment plan available. 3. Email scanned copy or snail mail to the Seminary any college level transcripts you may have. Previous college or seminary training is not required, but we want to see transcripts if you do have them. If you can’t scan and email, you may snail-mail your transcript(s) to us at: Esoteric Interfaith Church & Seminary, Inc. 650 N. Penrod Rd. Suite 216, Show Low, AZ 85901. 4. Email your reasons for desiring the Ph.D. and how you will use it. Describe any work and experience in the field of spirituality. 6. Submit by Email your 4000 (or more) word thesis / dissertation paper. Write on any religious, metaphysical or spiritual topic. We prefer you submit your paper by email as a Word document or PDF file, but you can print it out and snail mail it, if you prefer. 7. OPTIONAL: Take our enjoyable online Ph.D. Religion course (not required depending on your field experience, life experience and previous religious education). Upon application you will be sent links to our other online PhD courses you may complete. Your Degree Diploma: Once the above steps are all met, we will send you your beautiful bonafide diploma — with raised seal, official logo, signed in person, not by a computer. It is very suitable for framing, and we also send you a wallet card showing your new Ph.D. credentials. Transcripts are available for a transcript fee. We send them directly to the institution of your choice, and to you. Here is a photo of one of our graduates holding her PhD diploma. Our institution is a legally recognized non-profit 501(c)3 organization permitted by our state law to grant religious degrees. We are exempt from accrediting requirements because we confer only religious degrees, not academic ones, degrees designed for working clergy. You may wish to read our FAQ page for more information on our legal and accreditation status. If the Ph.D. requirements are too much for your schedule, you might consider the theological equivalent of the Ph.D., the Doctor of Theology –Th.D. Or you may wish to pursue a Doctor of Divinity or Doctor of Ministry degree. These are time honored religious doctoral degrees which take less time and lower cost, but still allow you to attach Dr. to your name and letters after your name (post-nominal letters). We also have Bachelors and Masters degree programs in Religion, Divinity, Theology, etc. What is the difference between the PhD in Metaphysics and the Doctor of Divinity? School Colors: The colors of the Seminary are emerald green and ivory. You may wish to order a cap and gown and a doctoral sash for an official portrait photograph. (The Seminary store does not carry these items, but you may order them from cap and gown companies). PAYMENT PLAN: Our tuition is the lowest among Seminaries around the world, both distance learning and brick and mortar. But we know some degree candidates may have special circumstances which prevent them from submitting the $890 tuition all at once. We have a Payment plan available.